A casement window is a window that is attached to its frame by one or more hinges. At Remodel America, we offer high quality casement windows to homeowners in the Milwaukee area. Contact us today for a free estimate! Sculpted frame and coved glazing bead for authentic wood look. Narrow sight lines for larger viewing area. Color-matched locking and operating hardware, combine easy operation, high security, and functional beauty. For added security our easy-to-reach multi-point casement locking system has multiple locks along the entire window jamb - all are activated simultaneously by a single locking handle. Interior glazing bead deters glass removal from outside the home and provides a waterproof seal to protect insulating glass. Heavy-duty weatherstripping, multi-point locks and R-core insulation combine to give these windows superior thermal performance. 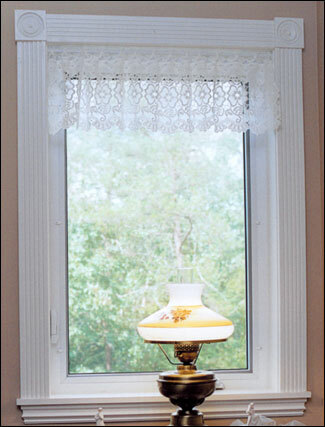 Full 7/8" Intercept warm-edge insulated glass is standard on most products. It provides higher R-factors and stronger insulated glass units. Our Hi R+Plus multi-layer vacuum-deposition soft-coat Low-E glass series allows you to choose from among the best insulating glass systems available. Heavy-duty uiPVC never requires painting, caulking or maintenance. Casement hardware allows full opening for safe, easy cleaning. Screens are removable from inside the home. Optional Easy-Clean Glass requires cleaning half as often and with half the effort of ordinary window glass. All frames and sashes are fully fusion-welded and guaranteed never to separate. Heavy-duty locking and operating hardware is guaranteed for life. Insulated glass is even warranted against breakage.